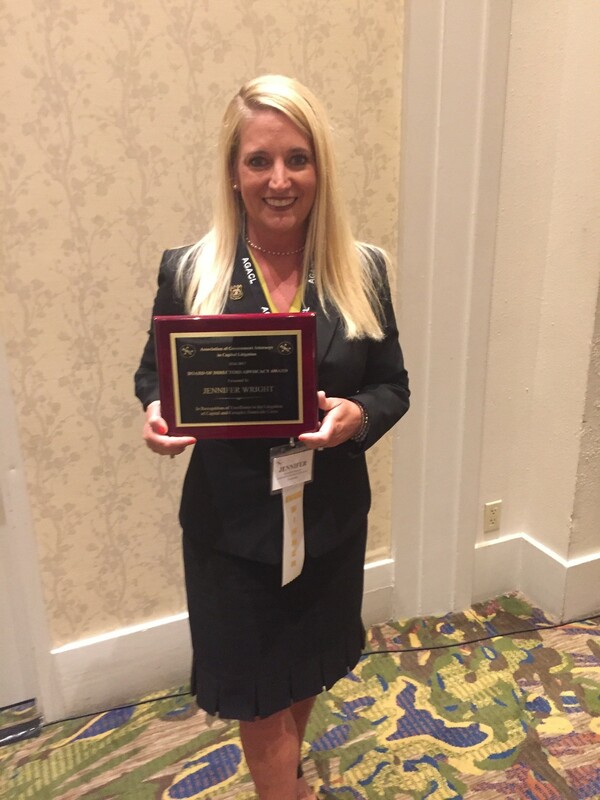 On Wednesday August 9, 2017, in Pasadena, California, the Association of Government Attorneys in Capital Litigation chose Assistant District Attorney Jennifer Wright as the recipient of the 2017 Outstanding Advocate in Capital Cases for the 2017 year. 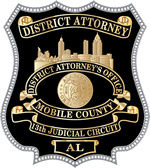 Jennifer Wright is a 14-year veteran prosecutor with the Mobile County District Attorney’s Office. Her talent as a trial attorney led to her being assigned to the docket of Mobile County’s Presiding Circuit Judge very early in her career. There she honed her trial skills on violent crime after violent crime. Jennifer was promoted to the Murder Team at the Mobile County District Attorney’s Office in 2011 and has served as the head of the Murder Team since 2015. Ms. Wright’s career as a prosecutor and capital litigator is as impressive. In 14 years she has prosecuted several dozen-murder cases and several capital murder cases. Those have included brutal torture and murders of children, domestic violence murders, and a gruesome dismemberment and beheading. When the stakes are high and the case is complicated, whether because the case is based on circumstantial evidence or scientific evidence, the Mobile County District Attorney’s Office turns to Jennifer Wright to handle the case. Jennifer Wright’s trademark is her thorough preparation for every possible scenario that could take place at trial. She does this while managing a workload that many prosecuting offices have an entire staff to manage. She is respected by the defense bar. Her fiery closing arguments are feared such that in several cases the defense has waived their closing arguments to prevent her stinging rebuttal.